Pharmacy retailers and medical suppliers share many of the same difficulties and opportunities as other retailers — gathering sales data, sharing product information and details, managing transactions automatically— but they also have their own unique challenges. For one thing, product traceability is a major issue. It is essential for these specific retailers to be able to track down expired and defective products while aiming to prevent shrinkage and theft. Traceability regulations require that each trading partner managing that item has logged where they received the item from and where they shipped it. They can do this internally or through an outside data provider. Increasing supply chain visibility can be incredibly helpful for retailers and suppliers, but a lot of new traceability requirements have been instituted specifically because of the opioid crisis. Traceability can help identify where all the drugs are going, decreasing the likelihood of them getting lost in the black market and help prevent counterfeiting. Similarly, the FDA requires American manufacturers of medical devices to have a product tracking system in place for certain classifications of devices. The European Union has similar tracking requirements, which means that if you are trading internationally, you need a tracking system that works around the world, and isn’t limited to a single country or language. SPS Commerce solutions for electronic data interchange (EDI) can help with new traceability requirements, particularly Advanced Shipping Notifications (ASN) in transferring information like the point of origin, lot numbers, expiration dates and so on. This information can go a long way towards compliance with these new laws, and the expedition of identification and removal of recalled items in your inventory and on the shelf. Pharmaceutical companies can also use EDI to help automate their sales and ordering processes. Retail pharmacies and medical supply stores can quickly and efficiently make inventory inquiries of their suppliers to determine availability. They can then place a purchase order (PO) via their ERP system, which is automatically transmitted to the supplier’s system. Next, the supplier transmits a PO acknowledgment (POA) back to the retailer, which confirms the order and makes any changes or amendments based on changes to product availability or item details. The PO is then sent off to the warehouse for picking and packing, and finally, the order is placed on the truck. 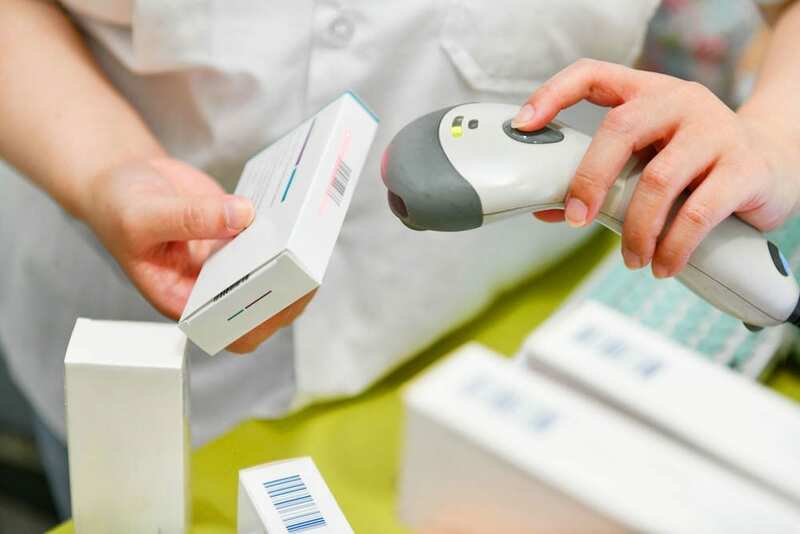 Once the order is ready, the ASN is transmitted back to the pharmacy retailer or supply house, which is then alerted of the order’s arrival time. After that, the ASN serves a dual purpose. Not only does it let the customer know when the order is supposed to arrive or how much has been placed on the truck, but also includes all the traceability information such as expiration dates, ingredient lists, lot numbers, manufacturing location and more. At this point, the POA and the ASN should match. When the retailer receives the order, they can scan the shipment barcodes and the EDI system will compare it to the previous documentation. This will help spot immediate loss and theft, so any necessary steps can be taken to track down where the missing products are. Then, when the supplier sends the invoice, it is automatically compared to the PO, ASN and inventory packing list. If everything matches in the system, the invoice is approved for payment without human intervention. An order is only flagged by the system if one of these documents don’t match, at which time someone can intervene, find the discrepancy and take any further action. What this all means for pharmaceutical and medical suppliers, plus the pharmacy retail outlets, is that everyone can get a better handle on their inventory, as well as improve speed on orders and deliveries. There’s no chance of losing an order, missing an email, or not realizing inventory is running low until it’s entirely out of stock. The EDI documentation system includes the inventory inquiry and management capabilities, so when a retailer’s inventory is running low, they can either be alerted or an automatic reorder can be triggered for certain products, such as bandages and toiletries. When new vendors, suppliers and manufacturers are added to your pharmaceutical trading partner network, EDI makes it easy to get them up and running. When you work with an EDI provider like SPS Commerce, in many cases we can get your new vendors onboarded and ready to take your first order within 48 hours. Pharmacy retailers and suppliers can also share sales data so both can understand how well products are selling in a particular region or compared to other stores. Pharmacy retailers can stay on top of their product tracking and suppliers can alert them to any issues regarding slow sales or higher-than-expected sales. EDI greatly improves inventory consistency and reliability, helps reduce (and spot) inventory shrinkage and loss, as well as prevent potential counterfeiting. ASNs and inventory packing lists also offer greater transaction efficiency and shipment tracking. A cloud-based EDI solution like the one from SPS Commerce can make it easy for companies in the pharmaceutical and medical supply industry to communicate and share information, as well as meet any traceability regulations set by the U.S. government, the European Union, or other regulatory bodies. For more information on SPS EDI products, please visit our website to contact one of our representatives for a free demonstration or to speak with one of our EDI experts.